Samsung Concept Phone by Riccardo Ceci… So Shiny! 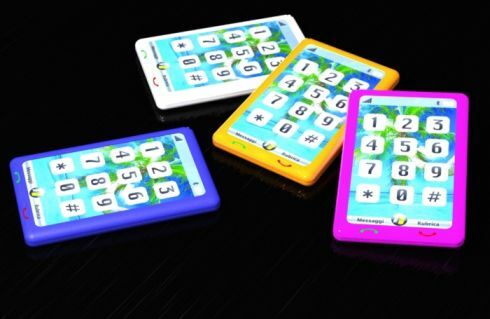 The frame that surrounds a phone’s touchscreen may sometimes become irrelevant, specially when dealing with a display that draws everyone’s eyes towards it. Riccardo Ceci’s concept phone seems to have been part of a Samsung design competition and I’m really hoping he won, as the design is quite nice. Since this is a Samsung device, Windows Mobile was a logical choice and it smells like WM7 flavour with a special interface. 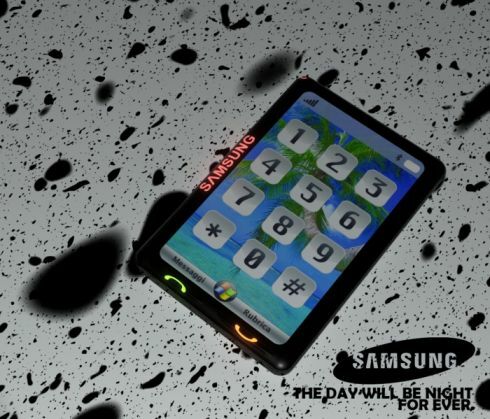 The motto of this handset is “The Day Will be Night Forever”, clearly shown by the brightness of the screen, the Samsung logo that lights up, as do the call/end call buttons. Specs? 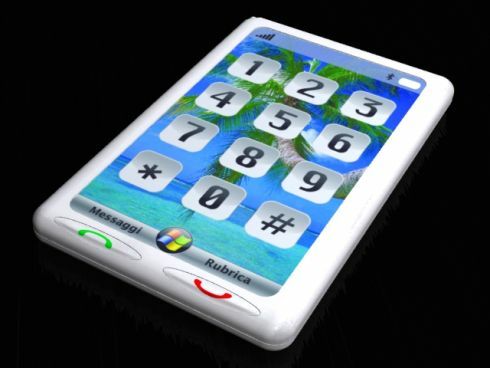 Who cares and wants to speculate on the concept phone’s features when this baby lights up in the dark of a tech convention?